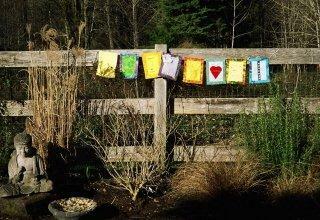 We are again revisiting the first set of prayer flags. Here is Helene Zimmerman's lovely contribution, shown on display at a friend's wedding. 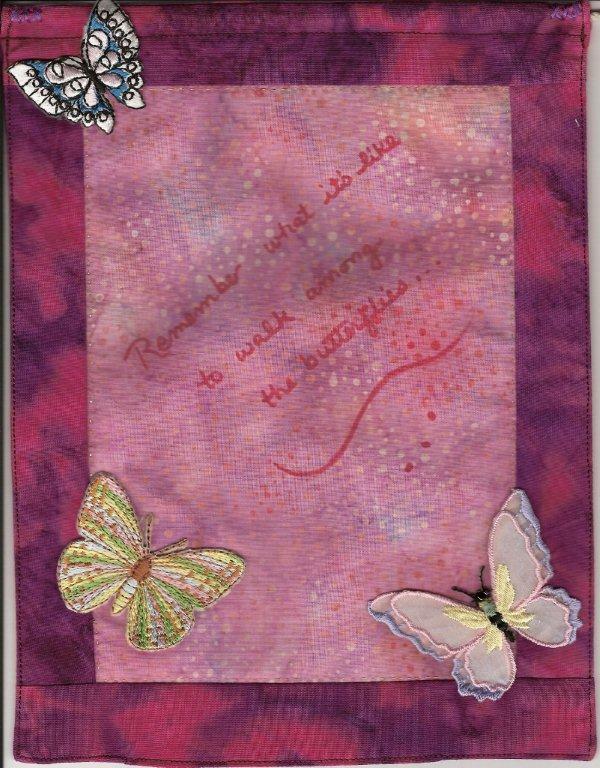 The wording reads: "Remember what it's like to walk among the butterflies." 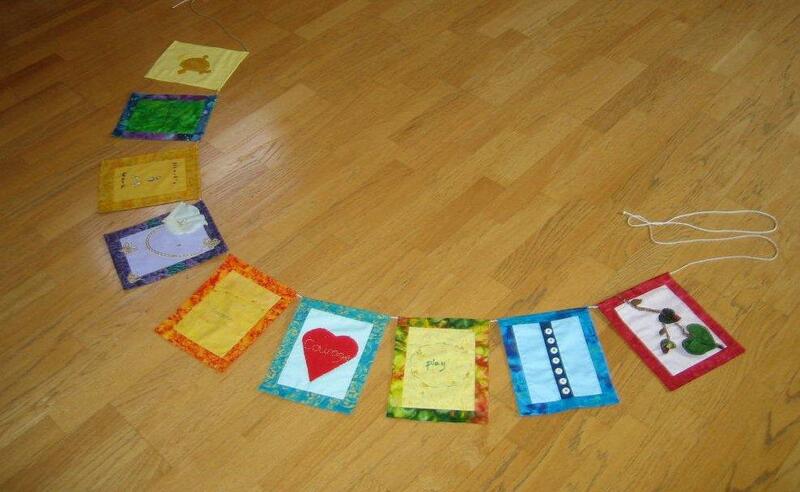 We are revisiting the first set of flags. 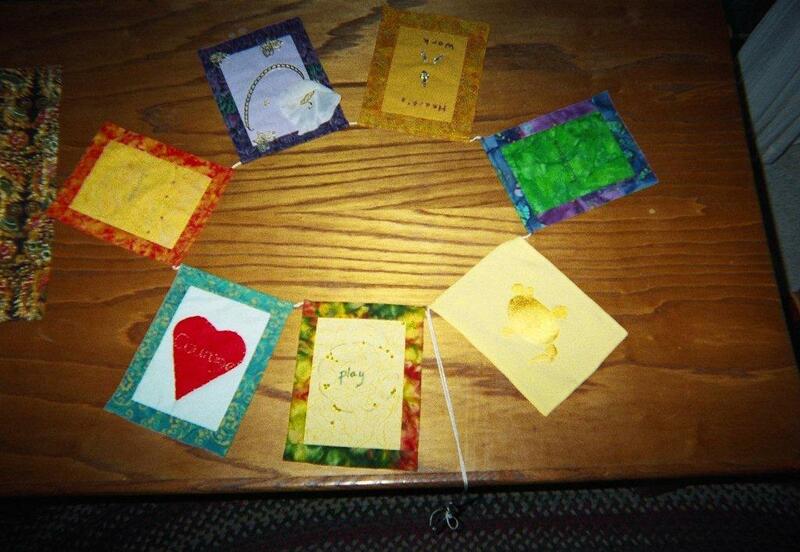 Here is Gina Gambill's May 2006 addition, which was a collaboration with her family. 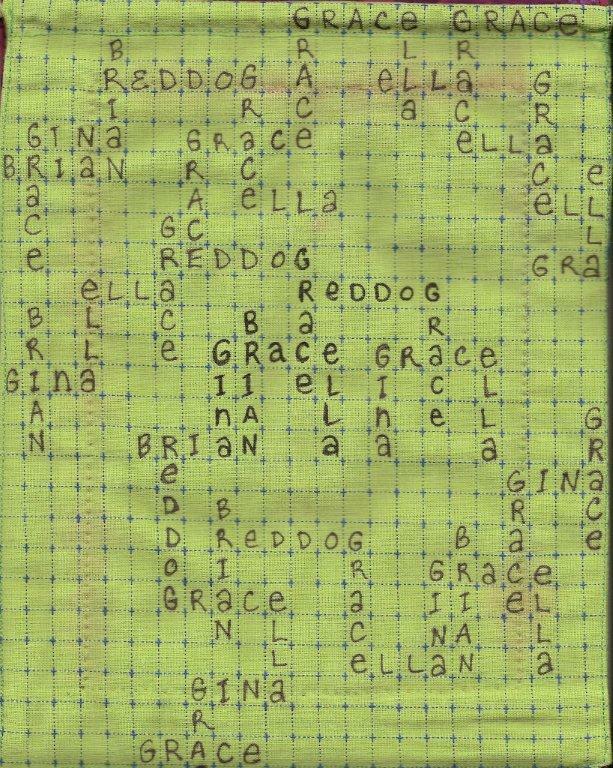 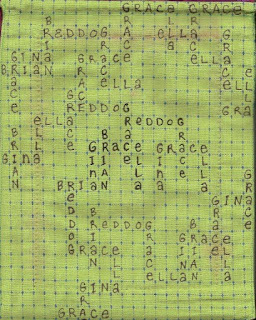 All the family names are written on the back in crossword puzzle style. 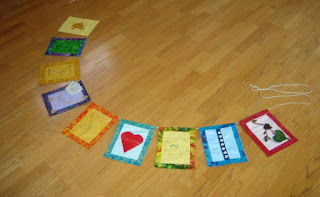 We are revisiting the first set of flags. 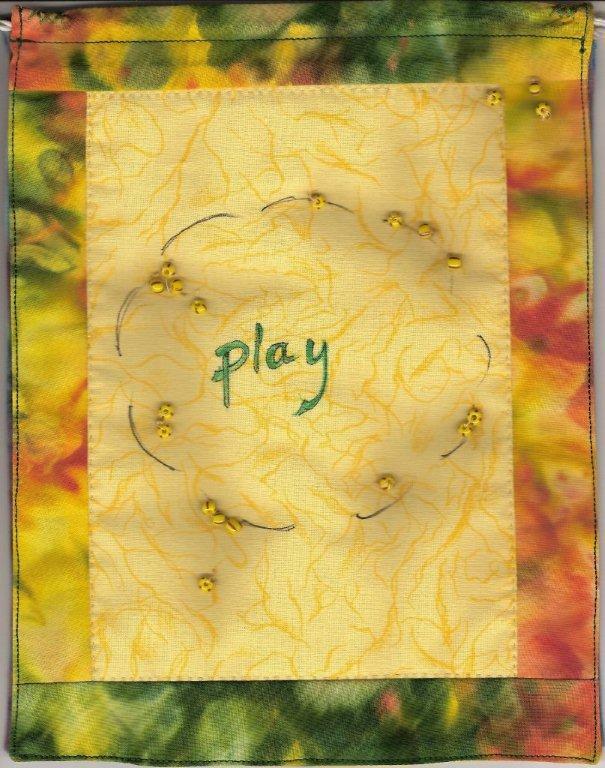 Here is artist Mary Cochran's beautifully appliqued addition from May 2006. 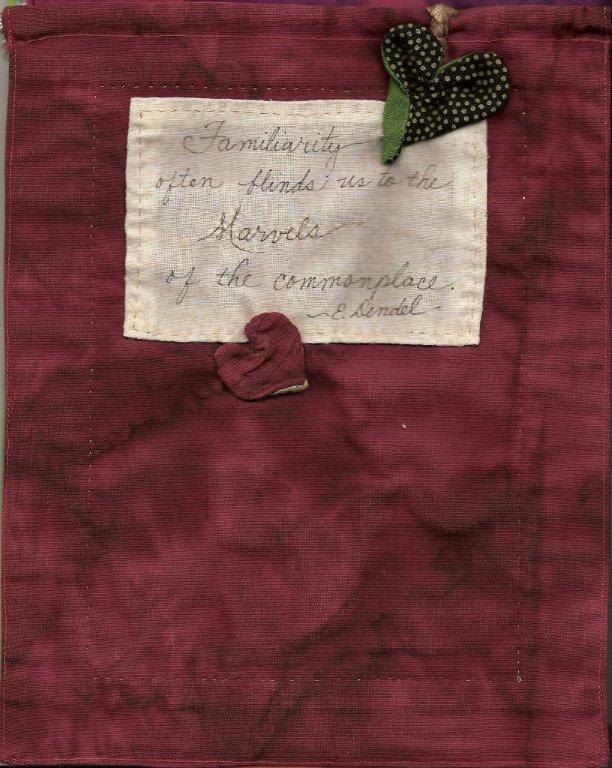 The quote from E. Dendel on the back side reads: "Familiarity often blinds us to the marvels of the commonplace." Mary said, "Looking back I am in awe of the things it has triggered and brought to my attention. 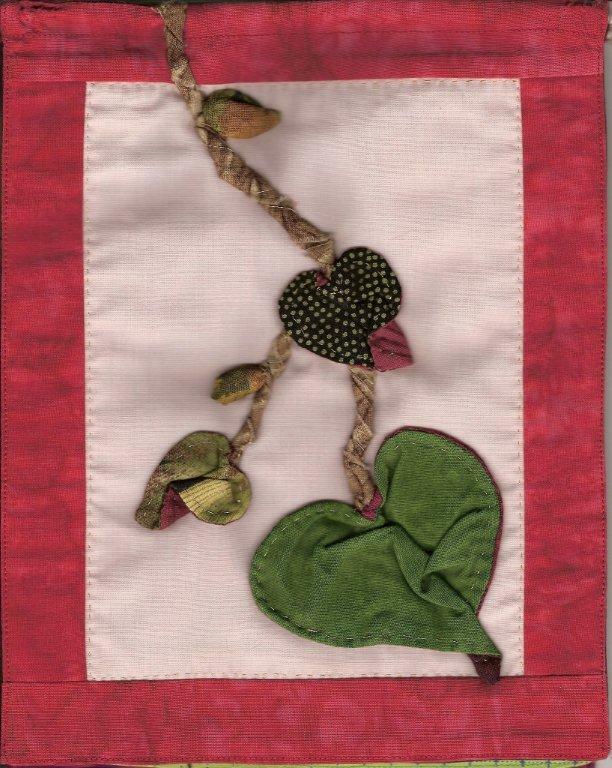 I am still almost daily being shown how deeply rooted a very important influence in my life has been." 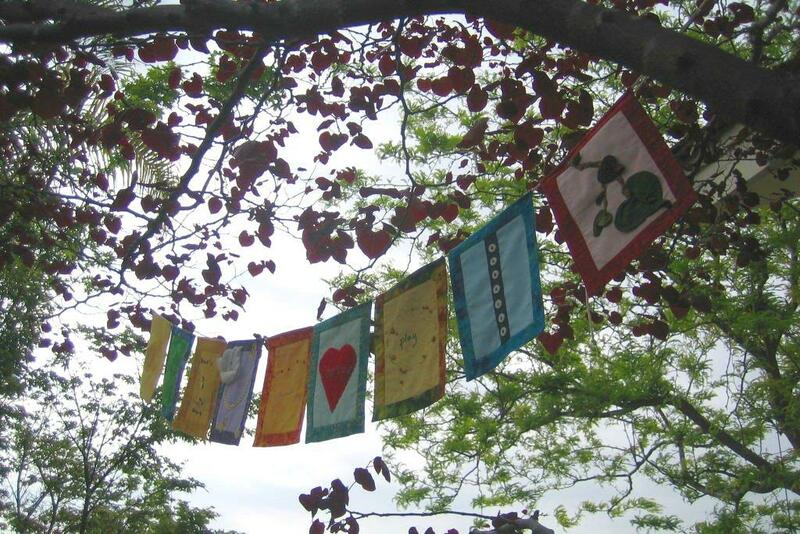 As we again revisit the first set of flags, here is Virginia Wise Abrams' collaboration from March 2006. 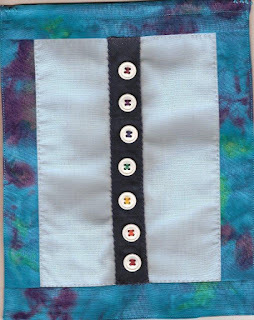 She was influenced by Native American button blankets, given as remembrance at a death among certain tribes. 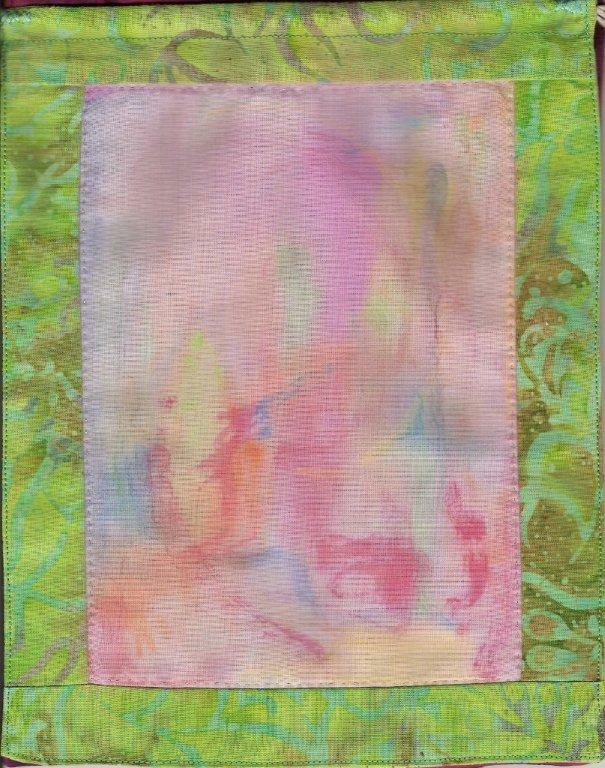 Her thread color choices represented the energy chakras. 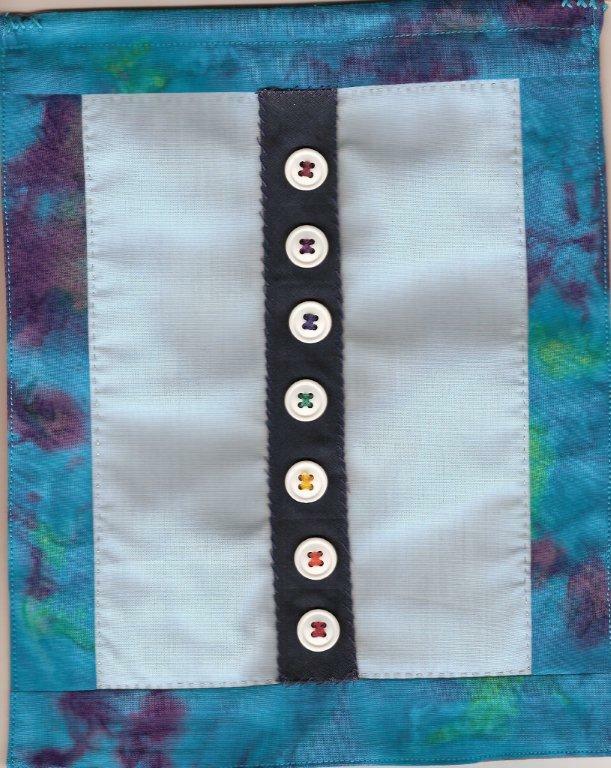 Buttons and chakras symbolize wholeness. 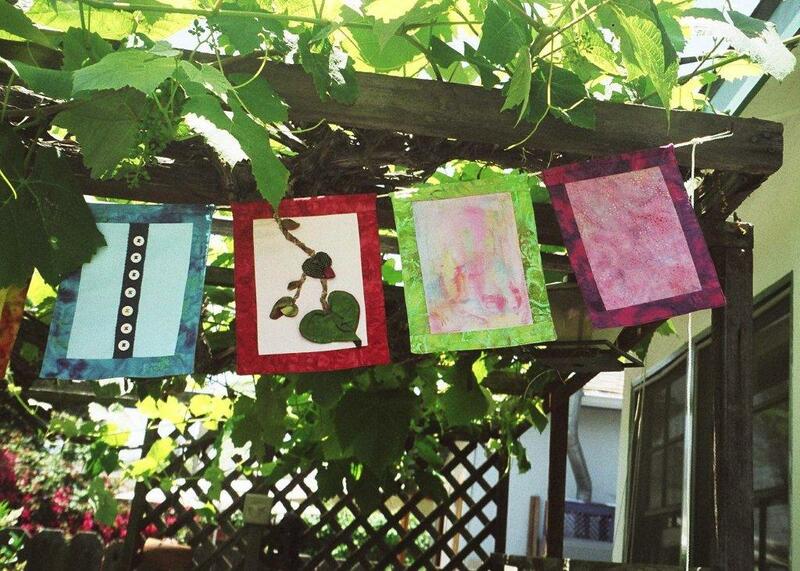 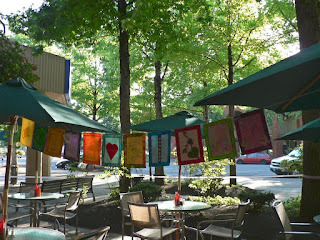 More from the first set of prayer flags with Sara Cloud's addition from December 2005. 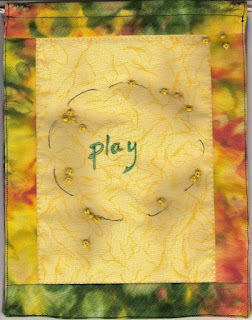 Sara chose Play for her flag, embellished with ink and beads. 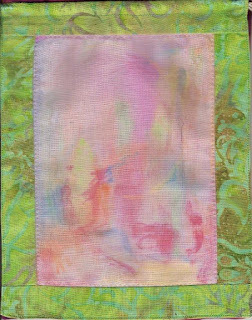 Sara so enjoyed the process that she participated in later sets as well.